What if I Don’t Qualify for a Title Loan? You are here: Home » Information » What if I Don’t Qualify for a Title Loan? If this happens and you need financial assistance, the next step may be to search for non-traditional funding. Title loans are a very common form of non-traditional funding, and they also have a high approval rate1. If you are looking for fast funding, but have been denied from traditional lenders, a title loan may be for you. A car title loan may a great way to get a convenient form of financial assistance, but what happens if you don’t qualify for a title loan? The first thing you want to figure out is why. Car title loans are known for having a high approval rate, so if you do not qualify for one there is definitely a reason why. Once you figure out the reason why you are not qualified for a car title loan, you can take the appropriate steps to rectify the situation, so you may be able to get your funding1. If any of these situations apply to you, there may still be a chance to get yourself the funding you need. You need to work closely with a reputable title loan lender that can help you through the process. At LoanMart, we may be able to help you by explaining the best ways to amend your situation. If you live in the Los Angeles area, you may even qualify for a motorcycle or personal loan1. Give us a call to find out how! How Can I Qualify for a Title Loan? If you are looking for a title loan, something you want to make sure you do first off is work with the right lender. LoanMart is one of the leading title loan lenders in the industry. If you have not inquired about a title loan with LoanMart, you may be missing out. LoanMart has a high approval rate along with competitive rates and convenient terms1. People with a wide range of financial histories and credit scores are approved for LoanMart car title loans frequently. Another factor to look out for is the state in which your vehicle is registered. In order to receive approval for a car title loan, one of the things that is required is a qualifying vehicle title in the borrower’s name. If you cannot locate your vehicle title, LoanMart may still be able to help you. It is possible to get a new vehicle title, or an expedited vehicle title if that is what you need. Other issues that may keep your vehicle title from qualifying for a car title loan could be that your name is not on the vehicle title, or it is not the only one listed. If you need your name to get put on your vehicle title, you will need consent from the person whose name is currently on the vehicle title. After that, you can have your name put on the vehicle title with the help of your local Department of Motor Vehicles. But what if your name is not the only one listed on your vehicle title? There is still something you can do! Look at your vehicle title, is the world “and” or “or” listed between your name and the other name of your vehicle title? If you see the word “and,” this generally means that you will need to work with that other person and either have them remove their name from the vehicle title—or have them sign your car title loan contract with you. If the word “or” is listed between your name and the other name on the vehicle title, then you do not usually need the permission from the other person listed on the vehicle title in order to use it for the title loan. Something you may not know is that there are multiple ways you can provide these types of documents. For example, if you need to turn in a proof of income, you may be thinking you’re unqualified because you may be self-employed. But there are other options! A bank statement, disability, social security, and more are acceptable forms of proof of income. Speak to a LoanMart representative about all the different ways you can verify your information, you may be holding your qualification for a title loan and not even know it1! What Else Can A LoanMart Car Title Loan Do? One of the best things about LoanMart car title loans, is that they are a form of non-traditional funding—so we don’t have to be stuck under the same restrictions as other traditional lenders. That means, even if you have poor or no credit, or even a history of bankruptcy in your past, it is still possible to be approved for LoanMart car title loan funding1! The time is now to get started on your LoanMart car title loan. Inquire today! 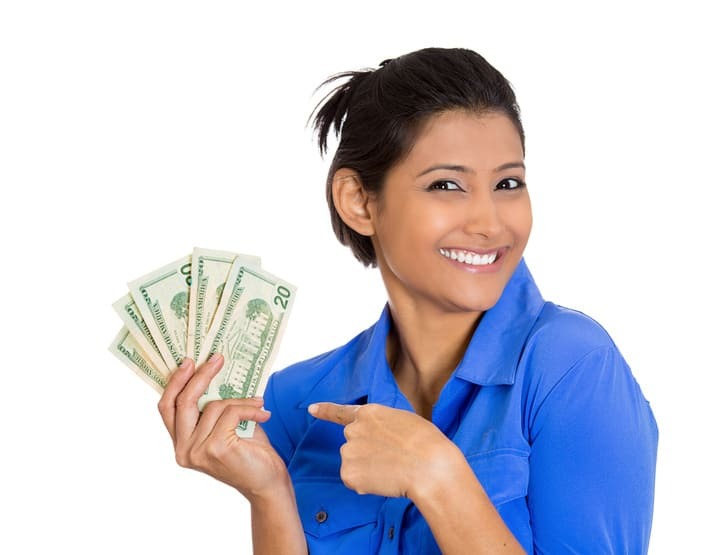 Previous post: Where Can I Get Emergency Loan Money in Tucson? Next post: Can I Get a Car Title Loan Without a Paystub in Yuma?